Of all things flammable in the wide world, tap water shouldn’t be one of them. At least that’s the consensus—call it crazy—among environmentalists and fracking foes, for whom the phenomenon, supposedly brought on by nearby hydraulic fracturing for oil and gas extraction, has grown into quite a powerful symbol. It’s fitting, as fire has conveyed the angry heart and distempered emotion of many movements in modern history, from bra-burning and flag-burning to self-immolation. It’s clear from speaking with Josh Fox, the amped-up faceman for the anti-fracking movement, that he views Americans’ battle against big industry, not to mention their own elected leaders, as nothing short of a fight to the (slow) death: our health versus their wealth. But if you frack with a Columbia University grad who’s written, directed and/or produced more than 30 stage works, and who cut his cinematic teeth with 2008’s Memorial Day—an exposé of Abu Ghraib atrocities—growing national resistance is what you get. Josh Fox: How’s everything over there in Colorado Springs? Do you know my uncle, Bob Rundo, the Tree Surgeon? Matthew Schniper: No, I don’t, actually ... Did you visit here as a kid? And this is what I’ve found all across America, is that you’ve got no ideological boundary here: Chemicals are chemicals, contamination is contamination, health is health, and you’re seeing this unify people. MS: For this Gasland II Grassroots Tour, how did you schedule the cities? Are these important battlegrounds? JF: Yes, they are. Each one for slightly different reasons. But we did want to encourage what we think works the best. And what works the best is a ban movement. We’re seeing a significant ban movement grow in Colorado. We’re seeing a significant ban-moratorium movement grow in California, and, obviously, in New York that has worked. We’re going to Pennsylvania because Pittsburgh and other places have banded together to ban there. And in Illinois, we’re going there because it’s a real crisis right now. MS: What did you most want to do with Gasland II? JF: Well, I was compelled to make the follow-up film because, frankly, we saw just an enormous movement happening. Now, I’m not crediting the film with that. ... The movement has happened because there is this largest domestic drilling campaign in history happening, and people are angry and upset and protesting that. But what we found was there was another layer of contamination due to fracking we wanted to investigate. And that’s the contamination of democracy. Gov. Hickenlooper, or as I like to call him, “Frackenlooper”—we don’t call him anything but “Frackenlooper,” “Frackenlooper” is his name—is moonlighting as governor of Colorado, and his main job is to be representing the oil & gas industry. And it is incredible to see the Democratic establishment—Gov. Frackenlooper, President Obama, [former Pennsylvania Gov. Ed] Rendell, everyone except [New York Gov. Andrew] Cuomo right now, frankly—literally in the gas tank. And to be betraying the health concerns of its own constituents in favor of toeing an oil & gas development line, when every indicator says we have to move away from this and move towards renewable energy. MS: Since the film premiered at Tribeca Film Festival on April 21, what’s the response and blowback been so far? JF: More of the same. I mean, the industry got caught hiring PSYOPS officers. People who’d just come from Iraq and Afghanistan who were trained in PSYOPS—psychological operations—and they were employing those techniques against landowners fighting the industry in Pennsylvania. 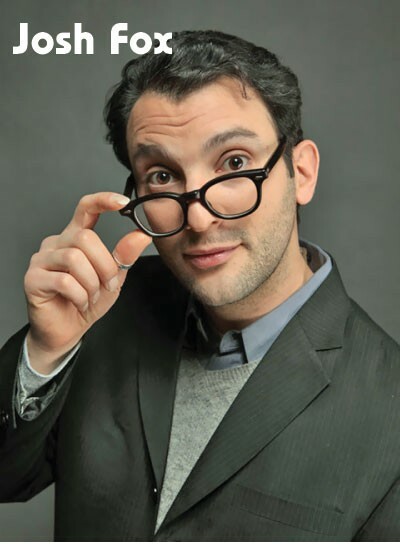 Josh Fox, the amped-up faceman for the anti-fracking movement. They got caught doing that. They were tape-recorded at their own teleconference describing landowners fighting for their basic human rights in Pennsylvania as “insurgents.” This industry has pursued a line of disinformation, of deceit. When their first note is deception, how do you expect the next note to be something truthful? What they’re doing here is doubling down on denial, and it’s following the strategy of Big Tobacco. Big Tobacco had a problem they couldn’t solve. There was no way to make a healthy cigarette. The gas industry has been studying well leakage, water contamination, all these problems for decades. And they’ve come to the conclusion in their own scientific reporting—and we show this in Gasland II—that there is no way to make a leak-proof well. And in fact, their leakage rates are alarming and astounding. Five percent of all wells leak immediately upon installation, and their cement casings fail. And 50 percent of them leak over a 30-year period. It’s the industry’s own science. So, in the same way that the tobacco industry had these memos in their drawers that said, “Oh, we knew all along that nicotine’s addictive and that tobacco’s harmful,” the gas industry has their own research. And some of that stuff has been published, even. It’s not even hidden. Some of it is hidden and we uncover a lot of that material in the new film.